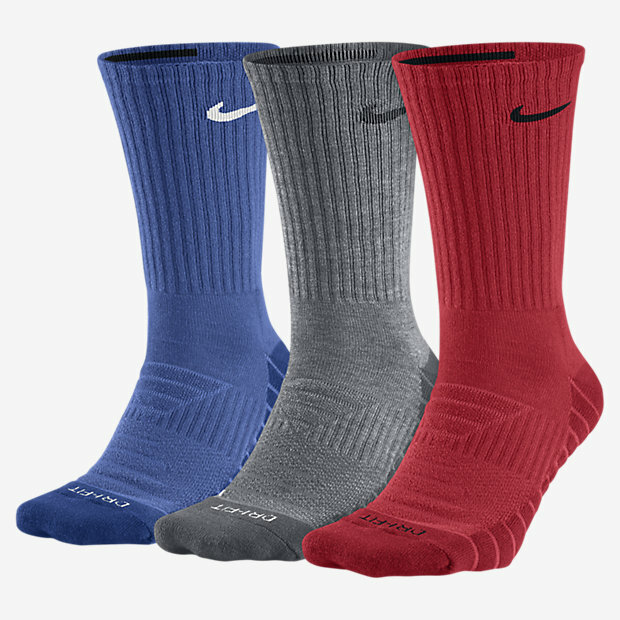 The Nike Dry Cushion Crew Training Socks feature sweat-wicking fabric to help keep your feet dry and comfortable during your workout. They are very comfortable, especially for basketball workouts. They also got a nice fit and just about the right length to give extra support to the ankle!